Masseria La Chiusa is an ancient building in 1470 in the Jato Valley. Today it represents an expression of rural architecture sober and refined at the same time, a place where the tradition and the wise use of live rock blend with comfortable spaces for guests. 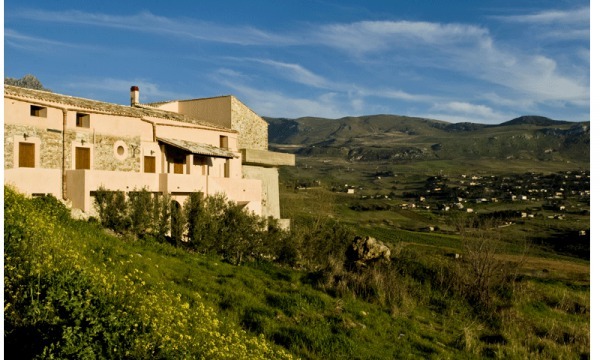 Just 20 km south of Palermo, the farm is the new reality of rural tourism in Sicily. Embedded in the Jato Valley, the farm is now a precious jewel of history and architecture, a comfortable solution for those who want to combine relaxation and discover traditional and cultural pathways of feudal Sicily. The facility is equipped with three different housing solutions that range from the classic hotel-style accommodation (comfortable rooms: double or triple rooms which one can access via an impressive staircase carved into the rock), to the “residence formula” (apartments with small kitchen and large living room), to the larger apartments. All types of rooms are furnished in Sicilian '800 style and are equipped with bathroom with bath tub or shower, heating and air conditioning, minibar and LCD TV. They are all surrounded by a rich vegetation and a lovely area for your relaxation. The spacious dining room, the historic 'Sala delle Botti', is enriched by the ancient trusses and the original columns. Here you will taste very good food, thanks to the rich cuisine offered by the farm in full compliance with the best gastronomic tradition. The farm serves dishes using local raw materials and all fruits come from the surrounding land of 130 hectares, all cultivated under organic management. You can also buy handicrafts and actively participate in the farm during the harvest period. Guests can also indulge in leisure activities such as tennis and soccer in the athletic field of the farm, or relax in the pool. Younger guests can spend their time in the playground area. The farm is also active in the cultural local organization of activities in the area such as exhibitions, conferences and tasting of typical products of the Jato Valley. Wine Cantines and Cheese Factories can be reached within a radius of 10 Km.